Menus are used to provide the user with links to interact with our mobile app. Each menu in DrupalGap, automatically has a block created for it. The block can then be placed into a theme's region to determine where the menu will be displayed. 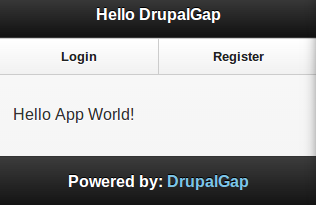 For example, DrupalGap comes packaged with a menu called user_menu_anonymous, and it contains a Login link, and a Register link. Since a matching block is automatically created for the menu, the user_menu_anonymous block can be placed into a region within our app's theme. The user_menu_anonymous block would of course want to be seen only by anonymous users. We can control when to show or hide the menu's block using visibility rules. Similar to the example above, each of these menus also has a matching block that can be placed into a region wihtin our app's theme.